With a focus on nurturing and encouraging spiritual growth through art, the Arts Committee sponsors art exhibits in Warren Hall and provides opportunities for members and friends of the church to create and learn about the visual arts. Frequently, items shown in our monthly exhibits are for sale. These exhibits provide a lively backdrop for the many activities that take place in Warren Hall and are often related to other aspects of our church life. 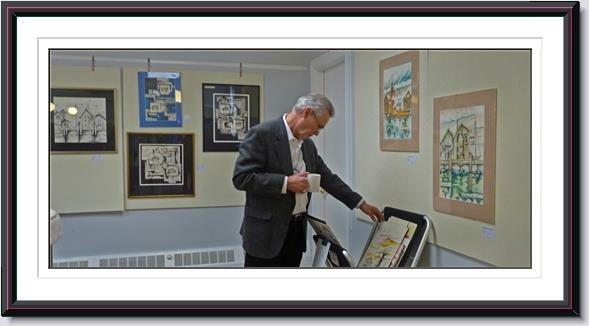 The Arts Committee, along with monthly shows of members' work, at times features outside artists. Sometimes these artists are from other churches or groups and sometimes they are local individual artists.